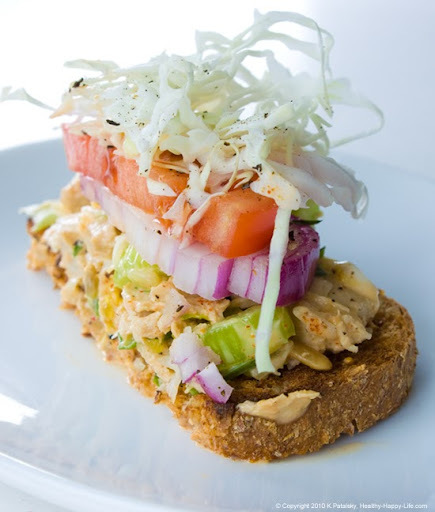 Recipe Rewind: Chickenless Salad Sandwich. Lunch Bliss! Lemon-Tarragon-Spice. 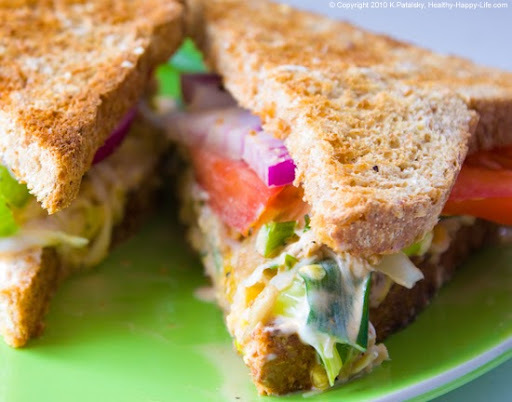 This creamy, zesty vegan salad sandwich is infused with fresh crunchy celery textures and aromatic flavors of lemon, pepper and tarragon. Simply spread it between two slices of bread, stack a high veggie tartine - or stuff a pita to the brim, and your perfect picnic lunch is served. ...And in case you missed my Spicy Lasagna Verde Dinnertime Recipe Rewind. With over 100+ facebook shares, Get it here.